Lisbon means quality of life, diversity, leisure and culture, light and blue skies. Lisbon is a piece of history. How is the student life? I think it's a dynamic, young, dedicated and cosmopolitan environment. Lisbon is a cheap city. There is access to restaurants will plenty of refreshments, at low cost but high quality, as well as relatively cheap accommodation. Is it hard to find accommodation? Do you have any advice? Contact any agency but in particular Erasmusu. Ideal for students or young people. it's the easiest way. The Portuguese gastronomy is Mediterranean. Olive oil is preferred and you can easily find fresh high quality fish. Alfama, Bairro Alto, Mouraria, Belém, places with history and lots of genuine character. What is the quality of Lisbon restaurants? Where are the best places to eat? You can find it all in Lisbon. What's Lisbon's nightlife like? Where are the best places? The Lisbon night scene has lots to offer. I think Bairro Alto, Cais do Sodré and Santos are the best. Other than that, you can find Brazilian and African music, as well as others. 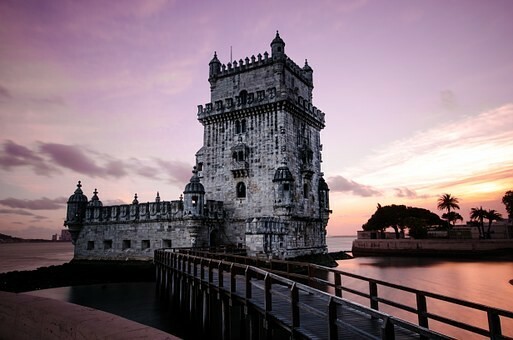 What advice would you give to future students going to Lisbon? Explore the city as a whole, because it has places outside of the fantastic regular city map to discover. Lisbon is still authentic when it comes to the people and the food, and is still cosmopolitan and full of cultural diversity.